You all probably aren’t aware of this but to me, it’s a National Holiday…April 7, 2019. According to National Holidays calendar, ‘this day was established to not only honor the history of beer but also to celebrate the Cullen–Harrison Act – an act which allowed people to buy, sell and drink beer that had 4% alcohol by volume and was signed by FDR in 1933. The day in which it went into effect, over a million and a half barrels of beer were sold. Other countries which celebrate a National Beer Day include Iceland (March 1st) and the United Kingdom (June 15th).’ This is a little longer than my usual cogitations but I figured it’s a great lesson in why we can enjoy our national beverage, every day! Let’s take a closer look and explore what Wikipedia has to say! Stay tuned for Marty’s upcoming post - Prohibition and Pops, "I think this would be a good time for a beer”! In 1830, on average, Americans consumed 1.7 bottles of hard liquor per week, three times the amount consumed in 2010. "Who does not love wine, wife and song, will be a fool for his lifelong!" 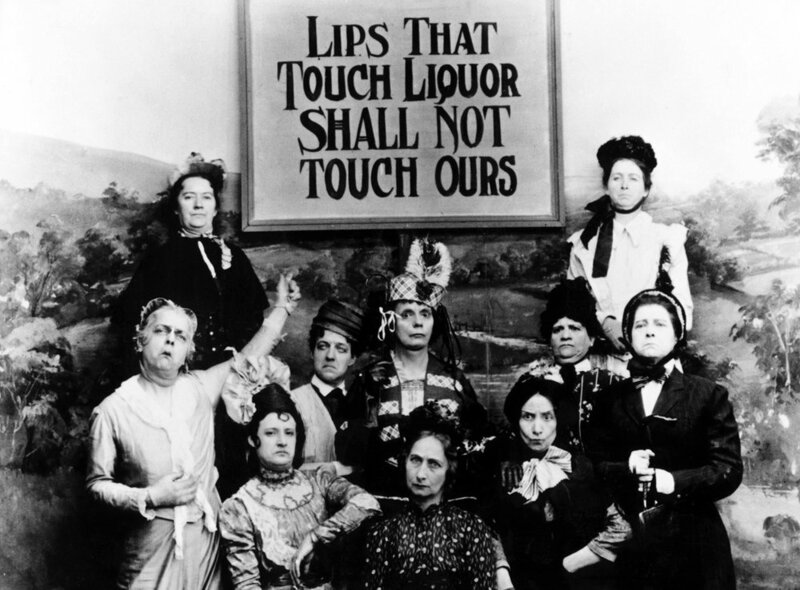 During the nineteenth century, alcoholism, family violence, and saloon-based political corruption prompted prohibitionists, led by pietistic Protestants, to end the alcoholic beverage trade to cure the ill of society and weaken the political opposition. One result was that many communities in the late-nineteenth and early-twentieth centuries introduced alcohol prohibition, with the subsequent enforcement in law becoming a hotly debated issue. Prohibition supporters, called "drys", presented it as a victory for public morals and health. The Prohibition movement, also known as the dry crusade, continued in the 1840s, spearheaded by pietistic religious denominations, especially the Methodists. Proliferation of neighborhood saloons in the post-Civil War era became a phenomenon of an increasingly industrialized, urban workforce. Workingmen's bars were popular social gathering places from the workplace and home life. The brewing industry was actively involved in establishing saloons as a lucrative consumer base in their business chain. Saloons were more often than not linked to a specific brewery, where the saloonkeeper's operation was financed by a brewer and contractually obligated to sell the brewer's product to the exclusion of competing brands. A saloon's business model often included the offer of a free lunch, where the bill of fare commonly consisting of heavily salted food meant to induce thirst and the purchase of drink. Prohibition was an important force in state and local politics from the 1840s through the 1930s. Numerous historical studies demonstrated that the political forces involved were ethnoreligious. Prohibition was supported by the dries, primarily pietistic Protestant denominations that included Methodists, Northern Baptists, Southern Baptists, New School Presbyterians, Disciples of Christ, Congregationalists, Quakers, and Scandinavian Lutherans, but also included the Catholic Total Abstinence Union of America and, to a certain extent, the Latter-day Saints. These religious groups identified saloons as politically corrupt and drinking as a personal sin. They were opposed by the wet’s, primarily liturgical Protestants (Episcopalians and German Lutherans) and Roman Catholics, who denounced the idea that the government should define morality. The brewing industry was shut down in state after state by the legislatures and finally nationwide under the Eighteenth Amendment to the United States Constitution in 1920. Enabling legislation, known as the Volstead Act, set down the rules for enforcing the federal ban and defined the types of alcoholic beverages that were prohibited. For example, religious use of wine was allowed. Private ownership and consumption of alcohol were not made illegal under federal law, but local laws were stricter in many areas, with some states banning possession outright. Prohibition ended with the ratification of the Twenty-first Amendment, which repealed the Eighteenth Amendment on December 5, 1933. Some states continued statewide prohibition, marking one of the last stages of the Progressive Era. Since alcohol was legal in neighboring countries, distilleries and breweries in Canada, Mexico, and the Caribbean flourished as their products were either consumed by visiting Americans or smuggled into the United States illegally. Prohibition was successful in reducing the amount of liquor consumed, cirrhosis death rates, admissions to state mental hospitals for alcoholic psychosis, arrests for public drunkenness, and rates of absenteeism. While some allege that Prohibition stimulated the proliferation of rampant underground, organized and widespread criminal activity, many academics maintain that there was no increase in crime during the Prohibition era and that such claims are "rooted in the impressionistic rather than the factual." On March 22, 1933, President Franklin Roosevelt signed into law the Cullen–Harrison Act, legalizing beer with an alcohol content of 3.2% (by weight) and wine of a similarly low alcohol content. On December 5, 1933, ratification of the Twenty-first Amendment repealed the Eighteenth Amendment. However, United States federal law still prohibits the manufacture of distilled spirits without meeting numerous licensing requirements that make it impractical to produce spirits for personal beverage consumption. As early as 1925, journalist H. L. Mencken believed that Prohibition was not working. "Prohibition worked best when directed at its primary target: the working-class poor." After the Eighteenth Amendment became law the United States embraced bootlegging. In just the first six months of 1920 alone, the federal government opened 7,291 cases for Volstead Act violations. In just the first complete fiscal year of 1921, the number of cases violating the Volstead Act jumped to 29,114 violations and would rise dramatically over the next thirteen years. Doctors were able to prescribe medicinal alcohol for their patients. After just six months of prohibition, over fifteen thousand doctors and fifty-seven thousand pharmacists got their license to prescribe medicinal alcohol. Grape juice was not restricted by Prohibition, even though if it was allowed to sit for sixty days it would ferment and turn to wine with a twelve percent alcohol content. Many folks took advantage of this as grape juice output quadrupled during the Prohibition era. To prevent bootleggers from using industrial ethyl alcohol to produce illegal beverages, the federal government ordered the poisoning of industrial alcohols. In response, bootleggers hired chemists who successfully renatured the alcohol to make it drinkable. As a response, the Treasury Department required manufacturers to add more deadly poisons, including the particularly deadly methyl alcohol, consisting of 4 parts methanol, 2.25 parts pyridine base and 0.5 parts benzene per 100 parts ethyl alcohol. New York City medical examiners prominently opposed these policies because of the danger to human life. As many as 10,000 people died from drinking denatured alcohol before Prohibition ended. Shortly after World War II, a national opinion survey found that "About one-third of the people of the United States favor national prohibition." 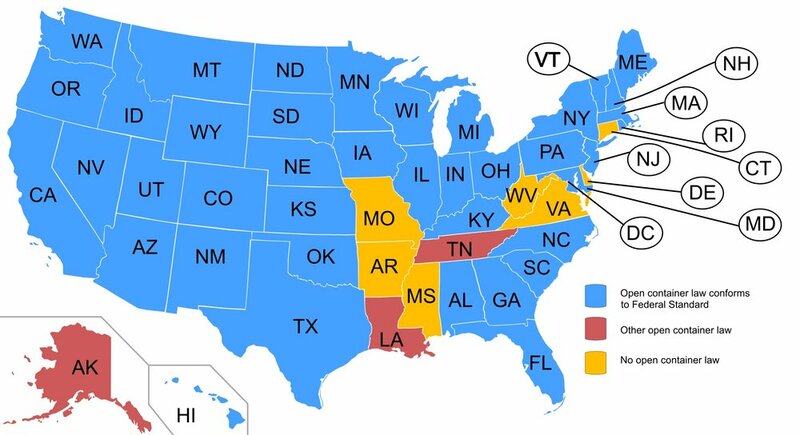 Upon repeal of national prohibition, 18 states continued prohibition at the state level. The last state, Mississippi, finally ended it in 1966. Almost two-thirds of all states adopted some form of local option which enabled residents in political subdivisions to vote for or against local prohibition. Therefore, despite the repeal of prohibition at the national level, 38% of the nation's population lived in areas with state or local prohibition. For those 18%, this Bud's for you!